Waverley Council’s transport plan Waverley's People, Movement and Places: where we go and how we get there was endorsed in December 2017. Our streets are vital to the success of our community. Streets provide links for transport movement, and are also places for people to meet, shop and linger. Waverley's People, Movement and Places aims to make it easier for people to move around by improving the quality of our streetscapes and public places. Our plan prioritises pedestrians first, followed by people riding bicycles, using public transport, service vehicles, shared mobility and private motor vehicles. 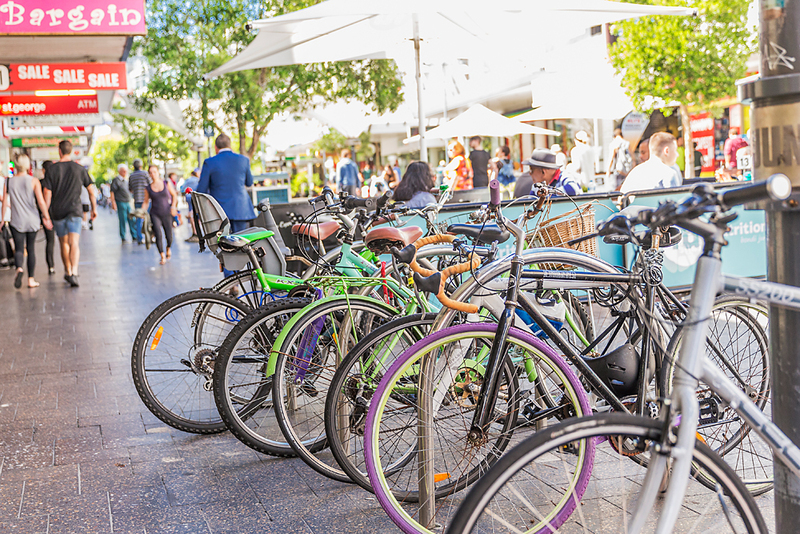 The Strategy Report provides recommendations to Council to improve the full range of transport options for the community. It includes twelve Signature Projects as well as 96 short, medium and long term actions that Council can undertake between now and 2030, in partnership with the community and state government agencies. These actions include major improvements such as overhauling the Bondi Junction Interchange; priority bus routes along Bondi Rd, Bronte Rd and Old South Head Rd; and cycling superhighways between key destinations. Small actions will also make a difference, such as such as safe routes that enable walking and cycling to schools; more car share pods; and improved pedestrian crossings. Combined, these actions will make it easier, safer and more enjoyable for everyone. The Community Plan and Environmental Action Plan set out the community’s aspirations, strategies and targets for achieving a better environment, community and economy. These include a commitment to making our streetscapes more liveable, sustainable and equitable for everybody in the community. To progress these strategic directions further, Waverley Council commissioned a series of reports, which identified that transport problems facing our local government area include traffic congestion; lack of reliable and efficient public transport; problems with parking especially in village centres; safety; and difficulty walking and cycling due to difficult terrain, poor quality footpaths and lack of separated cycleways. A draft report was exhibited in May/ June 2017 and the feedback was used for this final transport plan. Waverley’s People, Movement and Places provides a transport plan to help us to tackle our current transport problems, and best meet the changing demands of the future. Bondi Road is the main connection between Bondi Junction and Bondi Beach. Waverley Council commissioned Parsons Brinckerhoff to undertake the Bondi Road Corridor Transport Study to demonstrate to the State Government the potential transport solutions for the movement of people along the corridor. The report, published in March 2017, identified a wide range of options including bus priority, bus rapid transport, light rail, monorail, heavy rail and Metro.